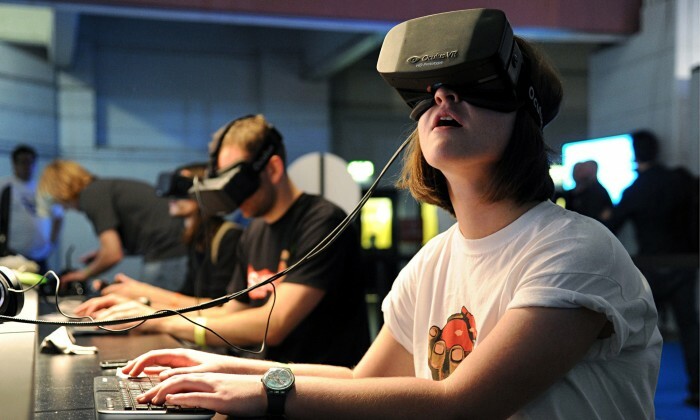 Virtual reality is a fitting medium for adventure games. When the atmosphere is right and the scene is set, you start to think about the world in a way that taps deep into your reptilian brain, the same one that thinks “I exist here. Everything here is important to me.” When done right, you’re just there. This is where I took issue with Alice VR. 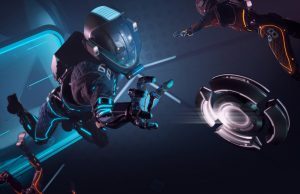 At moments I easily snapped into the game’s mysterious adaptation of Alice in Wonderland with all the requisite futuristic set pieces of any sci-fi adventure worth its salt, and at other times felt stuck inside of a conventional PC game that didn’t respect me as a VR player. 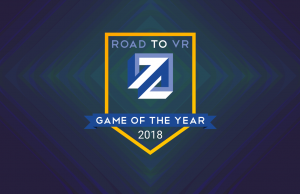 Note: I was given access to both the Rift and Vive version of the game via Steam, but was told that only the Oculus version would be playable for review purposes at the time of this writing. Due to an unexpected malfunction, you’re awoken from cryosleep by your spaceship’s AI and told that you have to go to an uninhabited planet below to retrieve fuel, liquid graphene, and get the ship back on course. On your travels through the ship’s various compartments to reach the bridge, you run into a number of tutorial-level puzzles. This is where you first encounter the game’s matching puzzles and even a gravity-bending maze that shifts the whole world around you—only a preview of what’s to come. 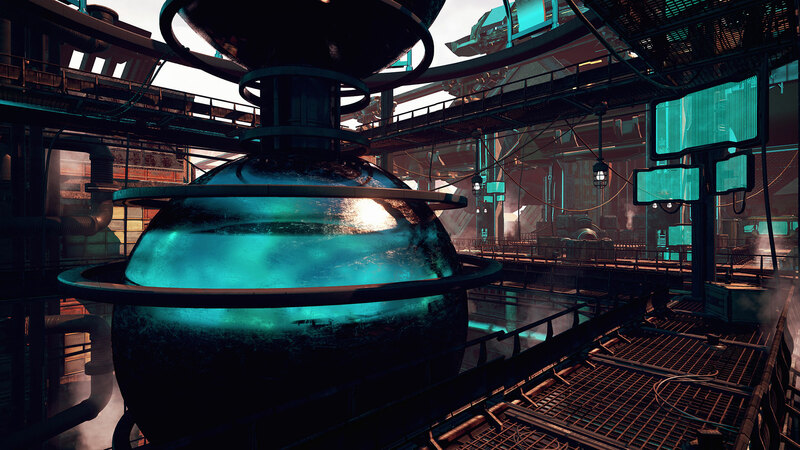 Dropped off on the planet’s surface, you’re faced with a dilemma: find enough liquid graphene in the uninhabited city, or never leave. Just outside of the city, your adventure begins. 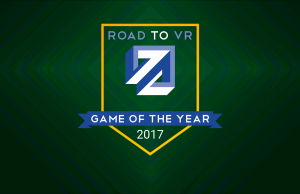 The story is a loose adaptation of Lewis Carroll’s Alice’s Adventures in Wonderland (1865), and although there’s no White Rabbit character to follow, AliceVR invokes Carrollian interludes of surrealness with the help of a mysterious green gas that you pass through on your way to the city center. This is where the game begins to play tricks on you. Is the reality you’re inhabiting genuine? Does anything you do matter in these bizarre waking dreams, or are they just temporary bouts of madness? Yes and no. No and yes. These moments are by far my favorite in the game, which tops out at around 4-5 hours of gameplay if you go straight through and forget all the collectibles and aren’t too fastidious with the game’s many audio logs. The story isn’t just a scene-by-scene adaptation of Alice though, and there are plenty of surprises to encounter as you meet some, (but not all) of the universe’s iconic characters like a robotic Cheshire Cat, a Mad Hatter AI, all the while following signs emblazoned with a White Rabbit symbol. While sometimes circuitous, level design is fairly straight forward, and mostly tends to lay out obvious tracks for you to follow. Find a shrinking machine, shrink, go through a tunnel, return to normal size and pull a lever to open a door. Presto! You’ve opened a door to the next level. You almost don’t have to listen to your companion AI, or care about the constant flashes of ‘NEW PRIMARY OBJECTIVE’ that haunt you every time you enter a room. If you do forget where you’re going though, you can look at the last primary and secondary objective on the menu screen. Puzzles vary between extremely easy to medium difficulty. 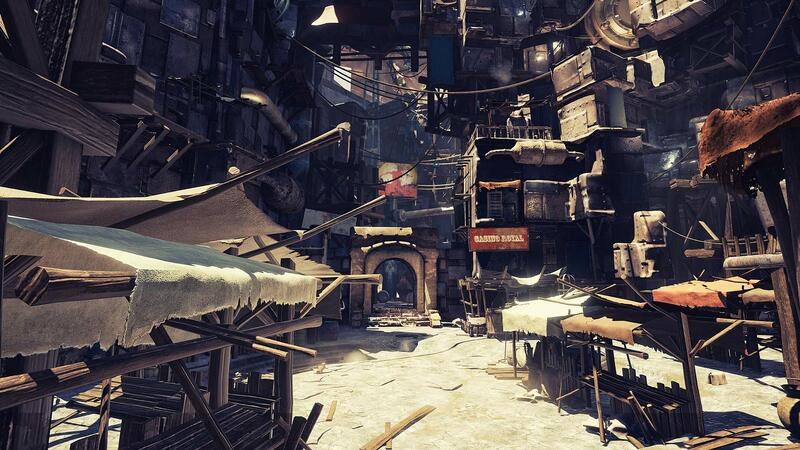 The game’s use of Unreal Engine is mostly competent, however outdoor scenes can sometimes be rough around the edges. In a VR headset, you get an up-close look at a game’s art assets, and set design can really fall flat on its face if you reuse too many of the same plant, or get lazy with how a rock wall appears or disappears. This is sadly the case in AliceVR, although it’s redeemed somewhat by the game’s well polished indoor spaces. I still couldn’t shake the feeling of an inconsistency in the world of AliceVR. Scale, while seemingly correct on the PC-version, feels random in the VR-version—and to be clear, this is taking the shrinking and growing mechanic into full consideration, as you spend most of the game interacting with the world in a 1:1 size ratio. Like Goldilocks, set objects in AliceVR like chairs or a the occasional skeleton are either way too big, or too small, and it leaves you feeling like some parts of the game were designed outside of a VR headset. That said, at times visuals can sweep you off your feet, but it’s hard to reconcile the clear disparity in the game. Voice acting tends to be melodramatic, but in a game that prides itself on its reality-shifting storyline, somehow the weirdness of the audio logs fits. Of course, your companion AI is flat and robotic, and like all robot protagonists (I call them nanny-bots), you have to listen to her to find out what to do next, where to go, etc. And I should say that I’m not a delicate person in terms of simulator-induced motion sickness. I, like many seasoned VR enthusiasts, have ‘VR legs’. But that doesn’t make me bullet proof, so this is where the review (and the game) gets a little uncomfortable. Remember that gravity-bending maze I mentioned earlier? Yeah. I’m not a fan. Plain and simple, I wish it weren’t in the game at all. This of course isn’t a law, and Oculus isn’t a ruling body, but the observation stands. no escape from the gravity bends! 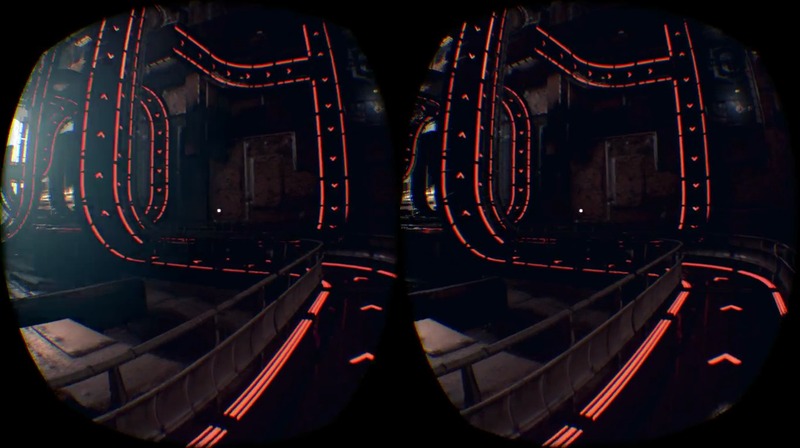 If the mechanic were ancillary to game’s puzzles, I wouldn’t be nearly so miffed, but why a VR game would want to punish its players with a whole room of wall-walking pathways—making it a primary mechanic in the later half of the game—I just can’t understand. To be brutally honest, I had to get out of the headset and finish the level in PC mode. And that’s something I’ve never done. 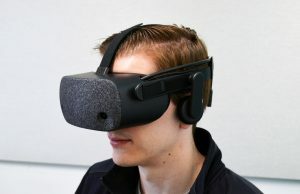 My last grievance comfort-wise with AliceVR is the lack of ‘VR comfort mode’, or snap-turning, with the only three options being either play standing up, in a swivel chair, or use yaw stick-turning. 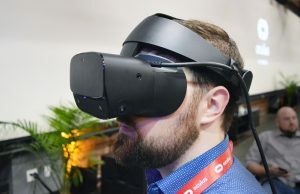 Some people don’t like snap-turning, but if you’re playing the Oculus version, you’re likely to be sitting down at a desk, and full 360 swiveling with a cable isn’t the most comfortable. Comfort-wise your mileage may vary, but I would definitely rate AliceVR as ‘Intense’, and for a walking simulator, that’s a shame. 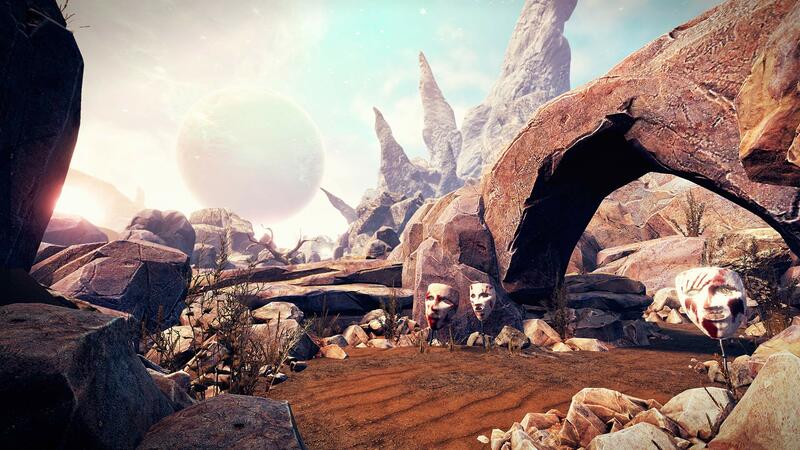 'AliceVR' blurs the lines between fantasy and reality with a certain amount of competence in its loose sci-fi adaptation of the classic tale Alice's Adventures in Wonderland, but pushes too hard to put you into a world where up is down and down is up. Bodily discomfort is a serious concern once you go down this rabbit hole. Saying that a game isn’t as bad as one of the worst priced ones isn’t saying much. Developers should be shooting for longer games because…. that’s what we can get from 2D games. Regardless of what anyone thinks, our current standards in gaming are built on 2D standards and so VR has to compete with these standards or fail. Where are the games that can get 100+ hours or even 50+ hours of gameplay? And when I say gameplay I mean meaningful content, storyline, or action (like a MOBA or competitive FPS), not just endless repetitive grinding. Those will take a while to arrive, I fear. 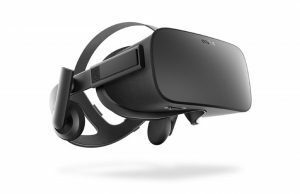 Long, Elder Scrolls- or Witcher-style campaigns and sidequests take a lot of time to develop, and as a consequence those games often suffer in terms of optimisation and polish – two factors which are indispensable in VR. 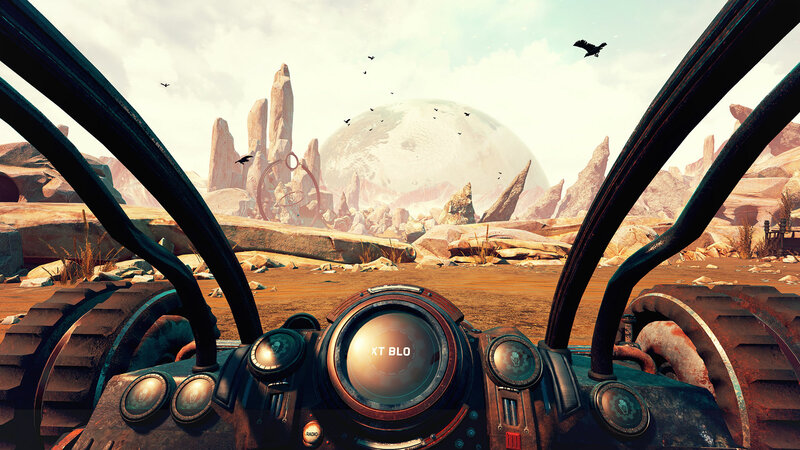 Before a major studio will invest in a large, refined ‘AAA’ title for VR, they will need a certain guarantee that they have the player base to support it. 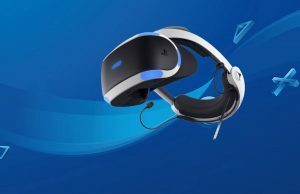 With the release and popularity of PSVR, I’d say we’re going to see the first studios announce major, expensive titles in the near future, but even then it will take one or two years before we can expect them to release. In the meantime, I suppose we have VR adaptations like Fallout 4 to tide us over. I think you’re right, the adaptation route needs to be pushed more heavily. 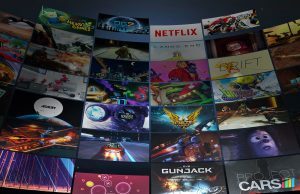 It gives studios something to work with to learn the ropes of VR without worrying as much about content, and it gives titles that with the promise of at least limited VR would be intriguing to people who haven’t yet moved on VR. Tell them there is a VR version of Skyrim or Assassin’s Creed and watch the sales of Rift/Vive go up. As Tony says, the 100+ hours games are a way off yet.. no studio can justify the millions it costs building a game like that for the current size of market. With they’d tidy up and re-release Alien Isolation with up to date VR support…. I’d be really surprised if there is no Alien Isolation release for PSVR. Chronos on the other hand already has great reviews which makes it seem more appealing as a purchase. But still, if we compare VR experience prices to movies, VR experiences are still a lot cheaper. If you buy a traditional Blu-ray movie, it costs about 20€ (in case it’s brand new), and lasts for about 2 hours (10€/h). Some people will say that this is not a correct way to judge the games and their prices. I say there is not just one way to judge. We need to look the problem from many different angles to see the whole picture. Quality vs quantity will always be a compromise but then there are also other concerns, like memorability of the product. I had high hopes for this one. Too bad, pass. Anyways, it seems there’s currently a pricing problem with VR apps: you have either casual mini games or short experiences (hate that term, could it be more vague ?) which should be priced like apps on the phone app store, so 0-5 bucks. On the other side, you have fully fledged games that should be priced similar to what you can find in the flat world, from indie to triple A studios so more like 40-60 bucks. If you now look at what is currently delivered, you have most of the games sitting between 10-20 bucks, and some up to 30. As a consequence, this is what you get: an angry mob of consumers that -rightfully- complain about games being either too expensive or too short. Because they’ve built expectations from the flat world. So devs, you know what to do: give us decent princing for your experiments and stop thinking of us as a goose you’re waiting to pluck, or be humble and work as long as you need to deliver a fully fledged game that you will be able to sell us at a premium price. The current rush to deliver something the fastest possible is just a no win situation, for both consumers and devs. Dang :( I was really pulling for this one. Hopefully we see some more comfort options further down the road, then it might be worth a look. It’s not the most comfortable game to play, but Neverout for the GearVR has a mechanic that shifts the horizon on the player and it was very playable even for someone like me who has pretty weak VR legs. 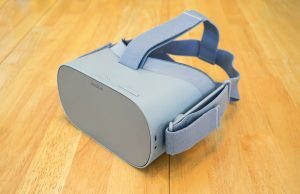 So there’s hope that this can be done right in VR. I’m always intrigued about a game when someone says it made them feel ill. I love that VR can make me feel dizzy/disoriented and so I tend to go for games that the nausea clan rant and complain about. I will give this game a try for that reason. lack of teleport is also a big draw. Also note that nausea clan members always say they have VR legs and a long history of tolerance to every other VR game but “this particular VR game was too much”… I’ve read it countless times. 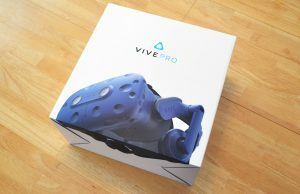 No you don’t have VR legs. You can say you have VR legs when you can play hl2 with keys and mouse or mirrors edge with vorpx. I’m sending the reviewer to my VR training school for 6 months, Up at 5am each morning, cold shower, porridge, 3 mile jog and then 4 hours of games on vorpx followed by 7 minutes coffee break then 4 hours of half life 2 with mouse and keys. 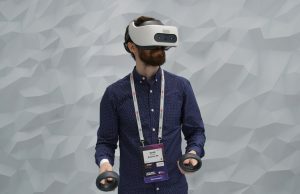 Do we have to start fanboying about vr nausea susceptibility too? That sounds like a really good idea. I will look into creating a website for it. “I can play anything in vr without spewing” fanboy site. T-shirt, caps, badges,newsletters. Ikr, Some people live in very small worlds it seems. Ummm… I’ve been using VR since 2006. I tried pretty much every game and demo for dk2 and now own Vive. nothing makes me sick. So your little theory would seem to be pish. Yes.. I said pish. Utter pish. Yes, whatever… you can believe that you have well-developed survival responses because you spew all over your pants while playing VR. I maintain you’re a pugknocker unlikely to land his plane in one piece. You are the vocal minority my friend. Carry on with it for all I care just recognize that you are the <10% who does not get sick. Buying a game because it lacks comfort options is silly. You’d love to think you’re in a majority but actually you ain’t. Going back to dk2 and previous then yes… you had a lot of buddies in your spew clan. 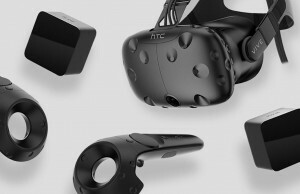 Membership of your club began to shrink when cv1 and Vive shipped. A percentage who had been members also started reporting they were able to reduce their sensitivity greatly and in some cases eradicate it completely (one user overcame his sensitivity by exposure to hl2 with mouse and keys). Take a look at the feedback on steam for games known to induce more nausea… overwhelmingly positive with few complaints (few bitter rants threatening to kill the developer if they don’t remove all motion from a game). Look around you fuzzy chump… your clan is shrinking daily. Lol fuzzy chump. I chuckled. Too bad for you then , that most devs that actually do user testing understand how important it is for comfort tunings. I’m on the side of more options are better. You don’t seem to get that. VR legs is certainly a thing, but only to an extent. Il let my clan know that you have spoken though. I do agree actually that developers should cater for both types of VR user. I think teleport is ok in some games. It’s nice to see full locomotion in Onward designed not to make nausea clan members spew. If you can find a VR game or demo that can make me spew then I will give you 100 pounds. The challenge will be one continuous hour of the spew-inducer. 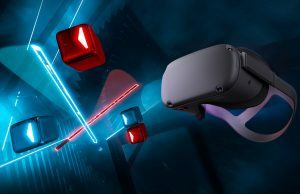 All VR game feedback shows otherwise. Spew clan club is actually a small minority now but as someone who isn’t me wisely observed: “a small but very noisy minority”. 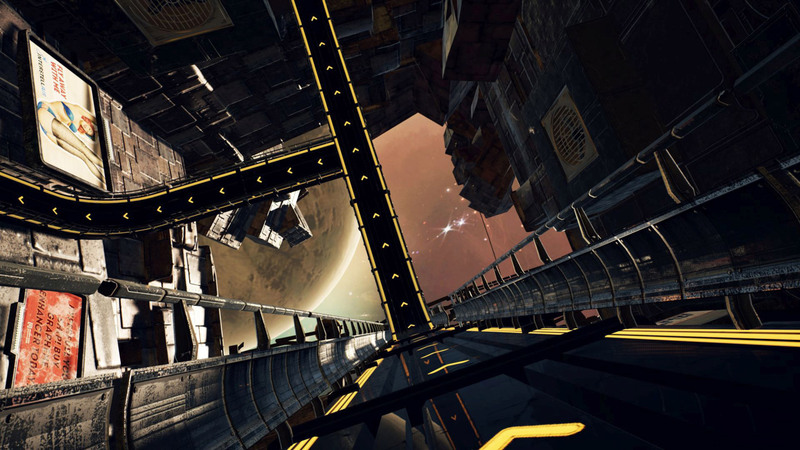 What I like about VR is that it can make me slightly dizzy or God save me: “uncomfortable”. Getting that while flying an SU27 is a lot of fun. Yes making yet another elitist club (ironically or not) is just what PC gaming and, especially, VR gaming needs. Do everyone who likes VR a favour and keep quiet, you’re making us look bad. 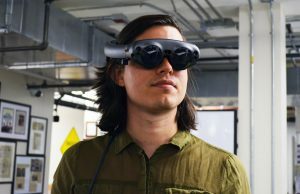 You’re giving me VR nausea. I insist you’re the one who needs to keep quiet. Remember… I’m insisting……..
Would you accept 100 quids worth of ice cream? That’s some good new for them, at least someone will buy the game thanks to it’s lack of features and gameplay tuning. Hope for you they won’t fix it later, better disable patching to be safe. As much as the nausea inducing element appeals to me in this game… Seems it falls far short in other areas and I tend to avoid short story driven games. 4 to 5 hours? Really? I tend to go for games with high replay value and If a game is story driven I want more than 5 hours out of it. Look, it happens that some types of games or control schemes will make people nauseated and others won’t. For example, I get sick when I play nearly any game with a controller, but if I can use my mouse and keyboard, I can play for hours. Part of that is just how our brains get wired to sense motion and what should make them expect motion at a very low level. I have been playing FPSes with a mouse and keyboard for a long, long time. Mouse movements have become nearly identical to head movements for those motion-sickness-triggering bits of my brainmeat. But controllers? Hell no. I never played FPSes with them (except for brief, terrible instances). Now if I try, I get sick pretty quickly. Even a low-key snorer like Albino Holocaust or whatever that boring thing was called makes me sick after a while. Toy Plane Hero can really get to me after roughly 15 minutes. Still fun, though. But if I fire up a fPS with vorpx or the VR port of Quake, I can literally play all day without issues. interesting… so you have no problem with mouse/keys+VR and that’s the one thing most nausea clan members say no one can handle. They told me I couldn’t play games that way without getting sick and I suggested almost politely that I could play any game without nausea. The closest I’ve come to feeling “discomfort” is Ethan Carter VR using egg-box controller so that sounds like your experience. Also fascinating you can handle vorpx because the field of view and screen warping would induce nausea for some. Vorpx has never been an issue for me either. 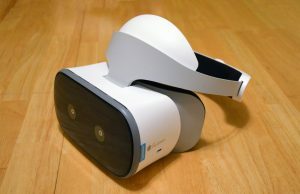 You do understand that there are two types of dizziness in VR, with the first, and least common, being the closest thing to actual motion-induced dizziness, and the second, which is by and large the most common reason for ‘dizzy’ feelings, is due to vestibular disconnect, and *not* because the game is “just that realistic”? You spin me right round baby right round. I like Road to VR’s honest reviews. 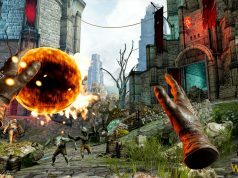 Unlike UploadVR’s bs lies about another game Damaged Core getting a “masterpiece” praise when it was the most average and standard shooter I’ve ever played. But that’s the problem with reviews, it’s a personal view, they really might have liked it and you clearly didn’t.. I understand reviews are just opinions, but giving an average run of the mill game a perfect 10/10 score and calling it a masterpeice while also being featured as a day one review for the game on oculus there’s too many red flags. Believe them or not doesn’t change my take on it. I’m calling BS. Reviews are supposed to be opinions Andrew. But unfortunately the professional video game reviewer community has the least integrity today. I’m not going to dismiss outliers in people who randomly like a game but I won’t dismiss bribing either. I just tried this game out and thought the graphics were terrible and could not get into the game at all. I would gladly pay $25 or $30 for an amazing 4-5 hour VR experience, this is just not it..
Those guys did some work on the art indeed, to bad they did not realy take the efford for the gameplay itself. For the gameplay time itself we are implementing multiplayer or coop and 1vs1 battle play as we think this eventually let you enjoy a game longer rather then just a story line. There is only one drawback as we need to host the gameservers to make sure players can play online smoothly via matchmaking instead of playerhosting. It will take extra costs to the game but i seen how it goes with games being playerhosted, lag and teleporting players is really a huge pain in VR. Need to see what comes out for us on reviews later on. Sad to see this game ended up to this rating, however it is indeed better to get a honest rating, as other devs can learn about the mistakes others made to make theirs better. And yeah me too, cant handle those kind of wallwalks too, sickest for me was Warthunder in plane and making rolls due to lag…… almost needed to buy a new keyboard, if you know what i mean…. Um, who are you? Seems like you’re promoting something in a review of somebody else’s game. Not promoting,but rather explaining on how we tackle problems people have with certain games . We are developing 2 titles at the moment, not ready for promotion yet as there is still a lot of work to be done on it. The statement above is more to share our vision about how to prevent games beoming easy to bore players or have only a very short enjoyment. Added to that the motion sickness. 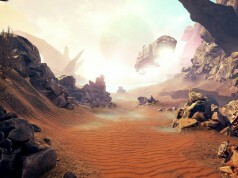 I think the game mentioned in the article does look good, i am sure it costed they huge efford and time to make that environment, the only thing that I feel sad about is what other here also mention, not tuned for VR, getting motions in it that let you feel bad and the short gameplay. I’m pretty sure this game is still awesome to play in non VR. FYI, the game now includes teleport and snap turning. No WMR support no buy.